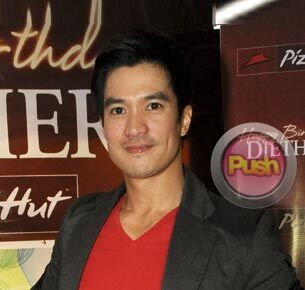 Diether Ocampo says he is still friends with ex-girlfriend Kristine Hermosa. One things that keeps Diether preoccupied at the moment is the upcoming 2nd Diether Ocampo Charity Golf Cup to be held this July 21 at Tagaytay Highlands. In this event that he organized, some of his friends in and out of showbiz will compete in a golf tournament to raise funds for the Knowledge Channel and the Christian-Islam Library in Zamboanga, both of which are dedicated to giving quality education to less fortunate children.